After only 15 days' review -- less than half the normal period -- the Department of the Interior issued its final rule (PDF) today that will effectively allow controversial mining of uranium next to the Grand Canyon National Park. The rule revokes Congress' right to order an emergency withdrawal from mining on federal lands. Congress had been given that power through a provision in a 1976 landmark environmental law that aimed at making it possible to stop mining when it threatened the environment near a recognized national treasure such as the Grand Canyon. The recent row leading to this rule change erupted after the House Committee on Natural Resources voted on June 25 to stop mining in the watershed adjacent to the Grand Canyon. Then on August 20 the Department of the Interior allowed 20 new claims to be staked despite the order. Several lawsuits have been filed to challenge the claims and the government’s acquiescence. 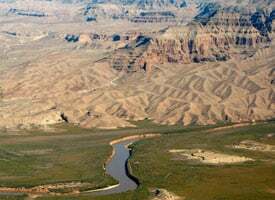 But Roger Clark, air and energy director for the Grand Canyon Trust, a regional conservation group, disagrees. "The Bush administration places a higher priority on helping the mining industry than it does on protecting the Grand Canyon," Clark said. "Their actions are contemptuous of Congress and an insult to the American people." The standard public comment period for proposed rule changes is 30 to 60 days. Another Interior spokesperson, Jill Moran, told ProPublica that the public was only given 15 days to voice its opinion on the rule because "this rule was proposed once before, in 1991." People, she said, had a chance "to comment on the rule before." This is one of more than 30 midnight regulations we are tracking through the rulemaking process. And, as always, here is how you can ferret out midnight regs on your own.